The organised labour on Friday said that there was no going back on the Nov. 6 proposed strike over non-implementation of N30,000 minimum wage. The three labour unions – Nigeria Labour Congress (NLC), Trade Union Congress of Nigeria ( TUC) and the United Labour Congress ( ULC) – confirmed this after a meeting of their joint central working committee in Lagos. Recall that the Nigeria Governors Forum on Oct. 30 announced that states would only pay N22,500 minimum wage. 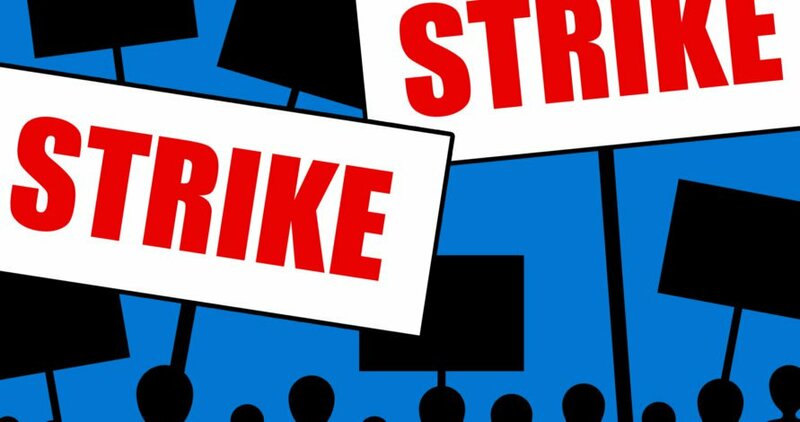 The organised labour had in reaction called for the implementation of the tripartite committee report concluded on Oct. 5 or it would go on a nationwide strike. Mr Ayuba Wabba, NLC President, who read the communique of the meeting, advised affiliate members of the three centres to commence preparation to ensure the strike was effective. According to Wabba, the members should be steadfast and dedicated to achieve their objective as workers would never receive improved welfare except through struggle. He also said that the ‘no work no pay’ rule by the government was wrong as it negates the labour law and international convention to which Nigeria was a signatory. He urged private employers to cooperate with labour for the strike to be successful. Mr Joe Ajaero, ULC President, reiterated that labour would not hesitate to stop the strike if the government fulfilled its N30,000 minimum wage demand. Ajaero said that labour would continue to meet and negotiate with the government until midnight of the expiration of the strike. He however said that the labour body had not received any court injunction to stop the strike contrary to any report. Also, TUC president, Mr Bobboi Kaigama, in a remark said the door of the organise labour remained open for discussion and advised that the report reached by the committee be submitted to President Muhammadu Buhari.